Mobile phones and tablets have put a world of information at our fingertips, even when we're on the go. 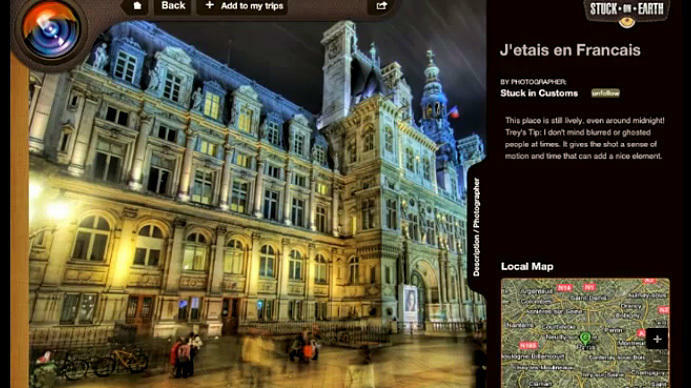 It would seem natural, then, for smartphones to help make traveling easier and more fun. The final round of the 2012 National Geographic Bee takes place Thursday, with students between the fourth and eighth grades testing their knowledge of countries, canals and lava lakes. Of the 54 contestants who came to the National Geographic Society in Washington, D.C., for the bee, only 10 remain. There are many ways to find a lost or stolen cellphone. You can call the number and see who answers; you can use "Find My Phone" apps that track your phone's GPS. Or, if your camera phone automatically posts photos to your account in "the cloud," you can simply watch your photo feed and look for clues in the strange new images that start popping up. Just be prepared to see anything — like scenes from a cruise ship. It's a good time to brew beer in America. 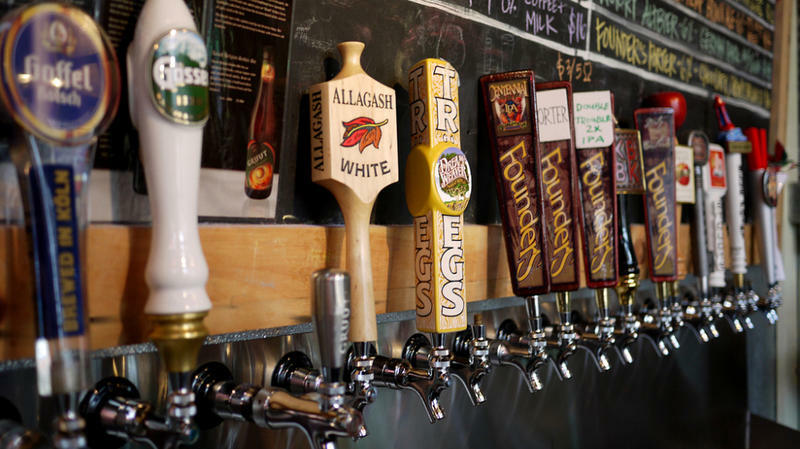 According to beer expert Julia Herz, U.S. brewing isn't just on the upswing, it's on top. "We're now the No. 1 destination for beer, based on diversity and amount of beers," she says. But if you want to see the strength of America's beer industry, you may want to look past beverage giants like Anheuser-Busch and MillerCoors. According to the Brewers Association, nearly 2,000 American brewers operated during 2011 — the most since the 1880s. For many people, Bike to Work Day (which is today) is a reason to put air in their bike's tires and see if their chain is too rusty to get them to work on time. 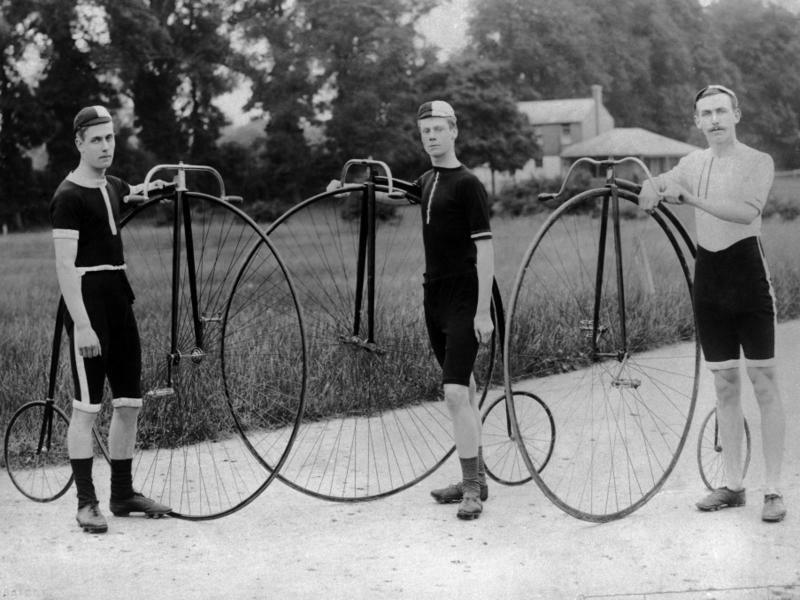 And as a growing list of photographs shows, many people who follow NPR online also ride to work. Bike to Work Day is this Friday, May 18. And that prompts a question: Do you bike to work? If so, you should prove it — by taking a photo of yourself with your bike. 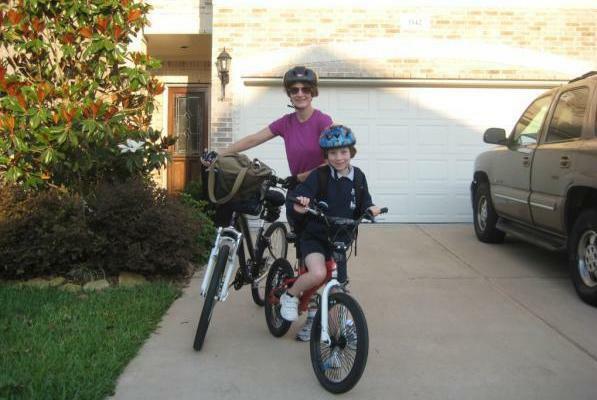 Then share the picture, and we'll consider it for NPR's Bike to Work Day gallery. Evelyn Bryan Johnson, a record-setting pilot who was born just six years after the Wright brothers made their historic flight, has died at the age of 102. Johnson, who began flying in 1944, holds the Guinness world record for the most hours logged by a female pilot — more than 57,000. In addition to her accomplished flying record, Johnson also helped many other pilots earn their wings. 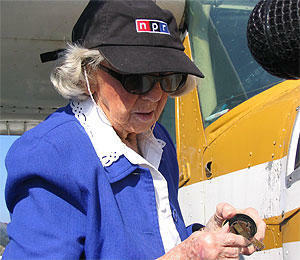 After one student called her Mama Bird, the nickname stuck with Johnson, as she gave lessons and FAA flight exams to thousands of pilots. 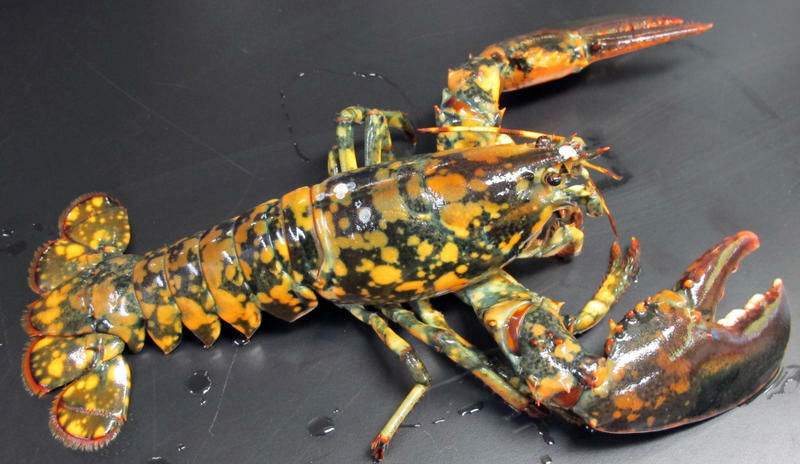 A calico lobster that had been living in obscurity off the coast of Maine has now been catapulted into a sort of celebrity, thanks to its rare coloring: a calico mix of orange and yellow spots. Researchers say it could be a 1 in 30 million specimen. The invertebrate was caught off Winter Harbor, Maine; it was saved from the cooking pot at Jasper White's Summer Shack restaurant in Cambridge, Mass., after the staff noticed its striking coloration. A Russian anti-terrorism agency says that its secret service agents have thwarted a planned attack on Sochi, the city slated to host the 2014 Winter Olympics. Russia's FSB security service says it found 10 caches of weapons that it believes were meant to be used during either preparations for the Olympics or in an attack during the Games themselves. 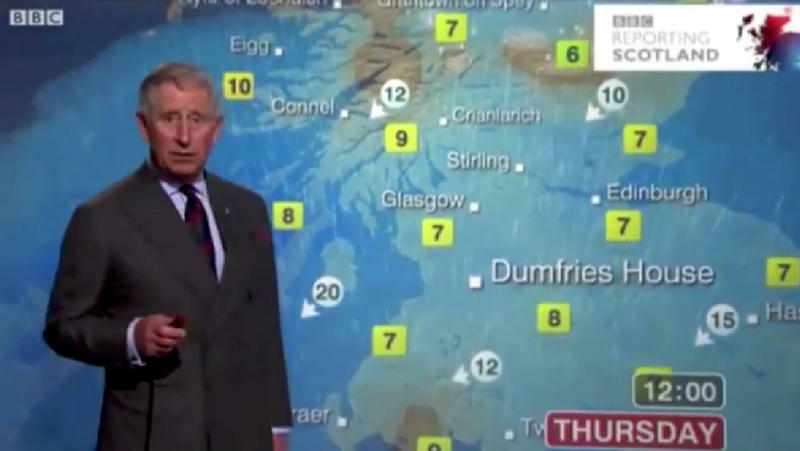 In Scotland, viewers of a nightly BBC news program got a surprise Thursday, when Prince Charles stood in front of a weather map to tell them about all the rain and cold they'd soon experience. With the darkest days of the Martian winter now over, NASA took its Opportunity Mars Rover for a drive this week. The rover had been stationary while its solar panels lacked enough sunlight to power its batteries. The rover's drive Tuesday was a short one: "about 12 feet northwest and downhill," according to NASA. 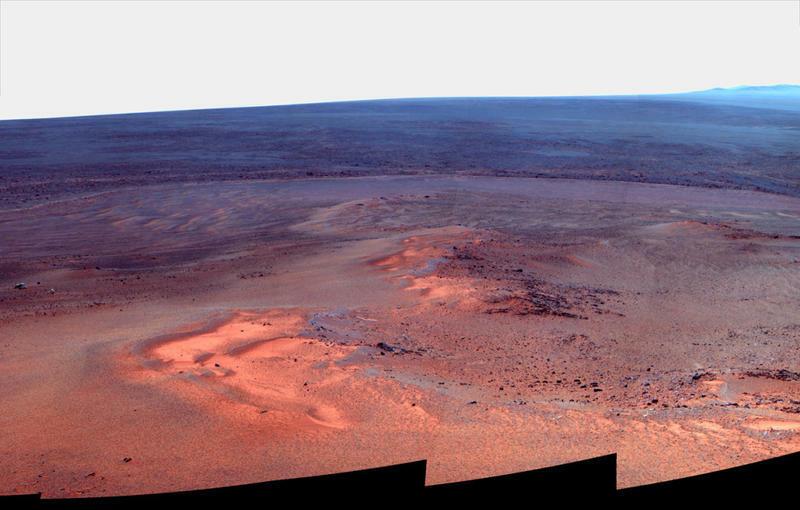 The agency says Opportunity has driven 21.4 miles since it landed on Mars in January of 2004. For decades, Olympics fans have loathed two words: "tape" and "delay." But this summer, things will be different: For the first time, NBC will stream live video of the London Games, online and via mobile. If you think that decision is overdue, you're not alone. 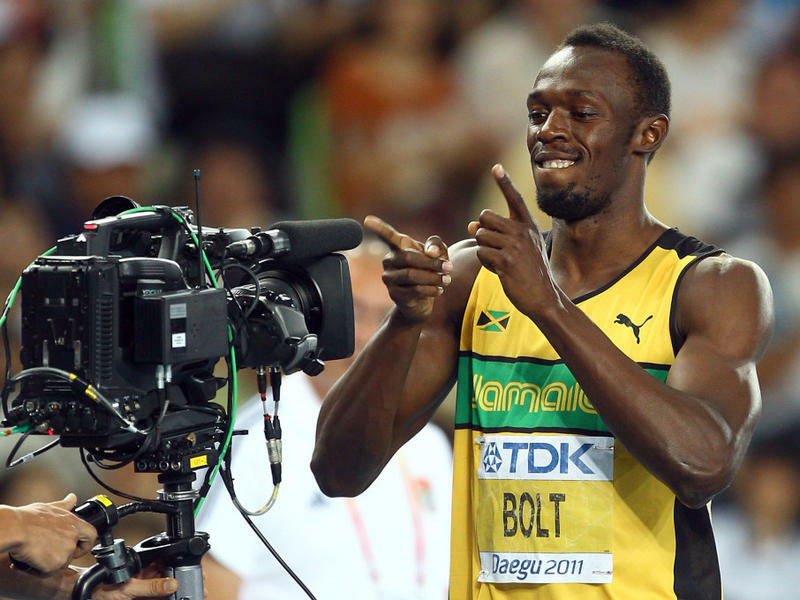 Sports Business Daily media reporter John Ourand says he is shocked it has taken this long for the network to put live video of all Olympic events online. The sports world is brimming with talk about Lopez Lomong, the American runner who set a 2012 world best in the men's 5,000-meter race in California Sunday. It was Lomong's first race at that distance (just over 3 miles), which he covered in 13 minutes and 11.63 seconds. But the race took a very unusual turn in its final laps. 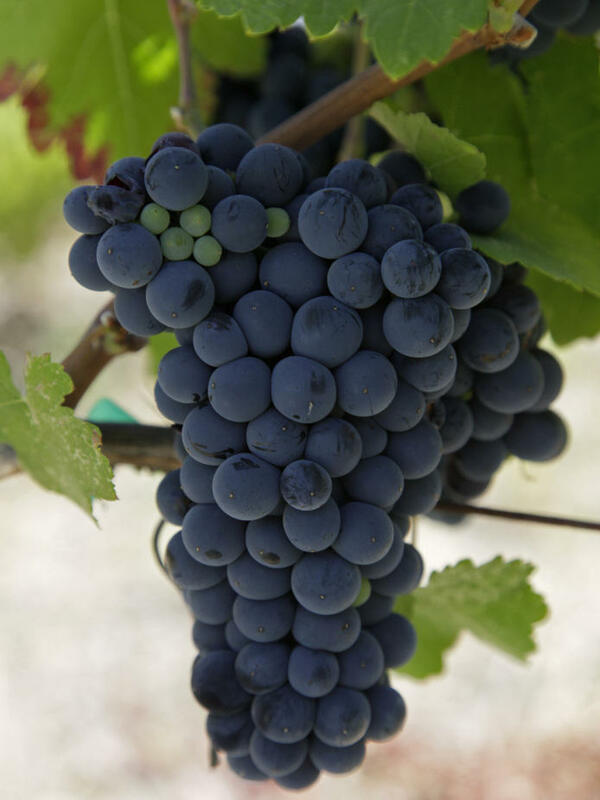 A British winemaker has finally been given official approval to release a limited-edition wine made in collaboration with Malbec grape growers in Argentina, on one condition: It can't sell the wine, or label it a Malbec. Actually, it can't even call it wine at all. The Chapel Down winery's only option for getting rid of its wine is to give it away as a sample, calling it a "fruit-derived alcoholic beverage from produce sourced outside the EU." A video that caused a sensation in Mexico for using child actors to highlight the country's social and political challenges has been removed from both YouTube and the website of Nuestro Mexico Del Futuro (Our Mexico of the Future), the group that produced it. Drinking On The Job: Is 2012 The New 1966? The TV show Mad Men has won fans for breathing life — and a heavy whiff of bourbon — into the fictional advertising world of 1960s New York. But surely no American company has such a liver-pickling culture in this day and age, right? 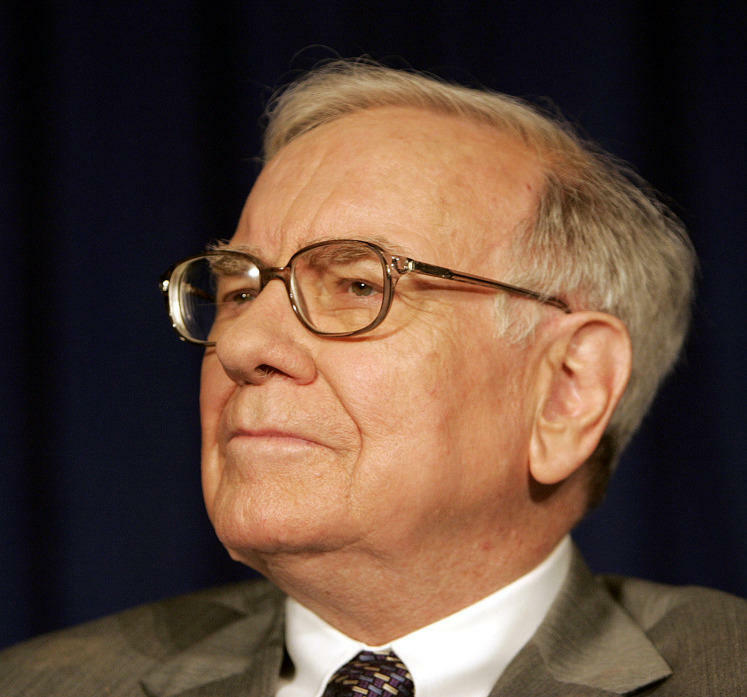 Warren Buffett, 81, has been diagnosed with prostate cancer, his Berkshire Hathaway company announced Tuesday afternoon. The cancer is at Stage 1, according to MarketWatch. The billionaire investor's condition is not life-threatening, he says. "Americans now walk the least of any industrialized nation in the world," says writer Tom Vanderbilt. To find out why that is, Vanderbilt has been exploring how towns are built, how Americans view walking — and what might be done to get them moving around on their own two feet. Talking with Morning Edition co-host Steve Inskeep about what is wrong with Americans' relationship with walking, Vanderbilt says, "The main thing is, we're just not doing enough of it." Days after it was acquired by Facebook for $1 billion, reports have emerged that Instagram now has more than 40 million users in its photo-sharing community. The gain, which was derived from the service's API, represents a spike of 10 million Instagram users added in the past 10 days, according to Venture Beat. When he appeared in court on second-degree murder charges in the shooting death of teenager Trayvon Martin, George Zimmerman was accompanied by his new defense attorney, Mark O'Mara. Hours after the hearing, O'Mara told NPR that he doubts the case will go to trial in 2012. But in the meantime, O'Mara tells Tell Me More host Michel Martin, he'd like to get his client out of jail. 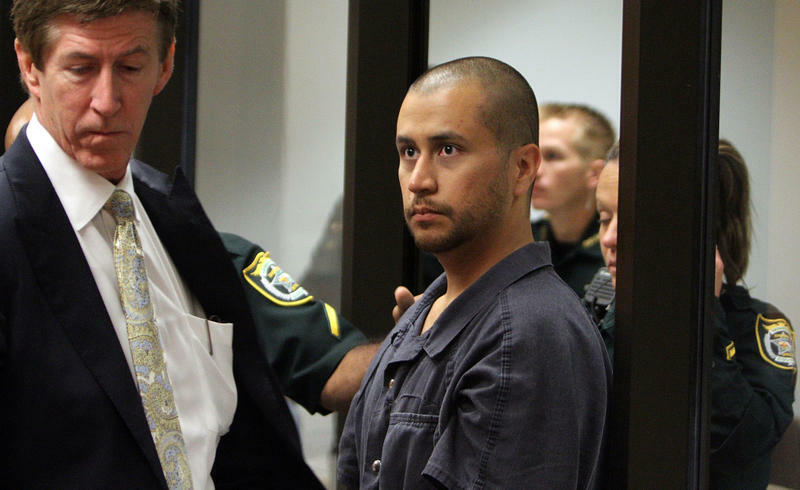 George Zimmerman, who says he killed unarmed Florida teenager Trayvon Martin in self-defense, has been arrested and will face a charge of second-degree murder, says State Attorney Angela Corey, the special prosecutor investigating Martin's death. 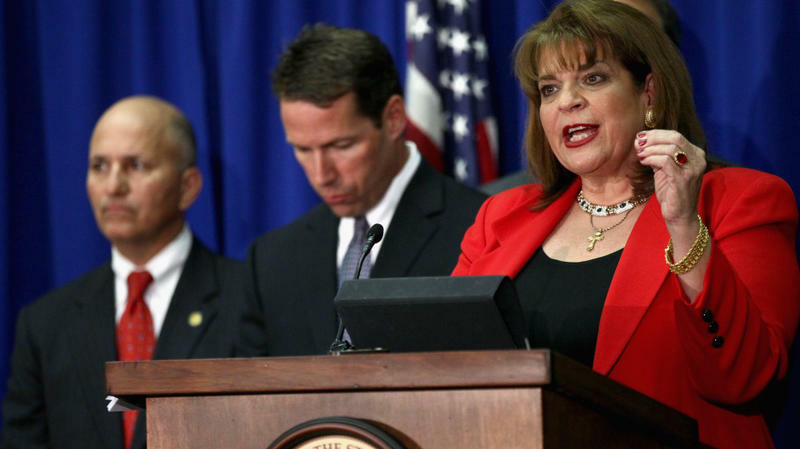 Corey said that Zimmerman turned himself in to the authorities Wednesday. As they sought to quell a November protest at the University of California-Davis, campus police officers' "decision to use pepper spray was not supported by objective evidence and not authorized by policy," according to a review of the incident released Wednesday. Convicted murderer Charles Manson, sentenced to life in prison for his role in the grisly deaths of seven people in 1969, will not be released from prison, California's parole board decided Wednesday. The hearing, which Manson did not attend, may have been the 77-year-old's last chance at freedom. His next bid for a parole hearing isn't likely to be heard until 2027. The bulk of the U.S. military force in Afghanistan is slated to leave the country by 2014. But the Pentagon is willing to keep some Americans there to train Afghan forces, according to a report by NPR's Tom Bowman. "Afghan Defense Minister Adbul Rahim Wardak says his country is looking for an enduring long-term relationship with the United States. And part of the relationship centers on training and equipping Afghan soldiers and police." With sensors that translate the motions of a bike — turning the handlebars, spinning the wheels, etc. 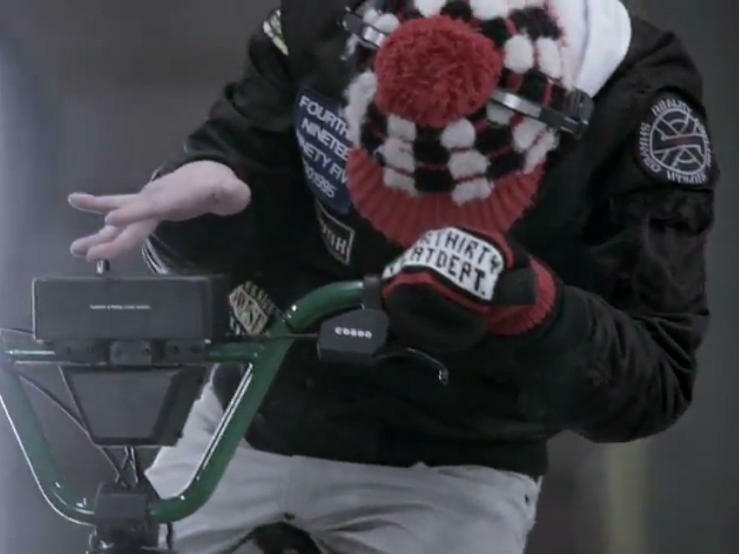 — into music, the Turntable Rider "is an epic bicycle accessory which converts a bicycle into a musical instrument," according to Cogoo, the company that created the device.